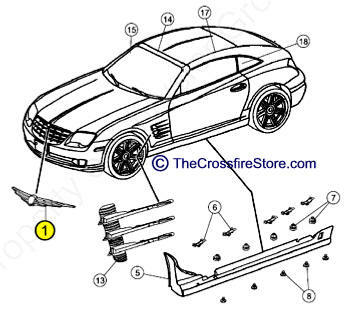 JU-5142255AA Chrysler Crossfire (2004-2008) Rear Logo Letters complete. Used in very good condition - Factory original part. Ready with Peel and stick application. 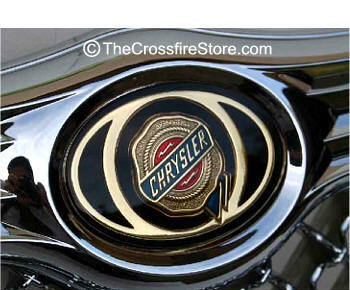 New part no longer available from Chrysler. 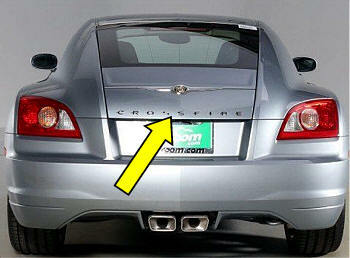 JU-1BX66401AA Chrysler Crossfire (2004-2008) Rear Wings Emblem. New Factory original part. Peel and stick application. 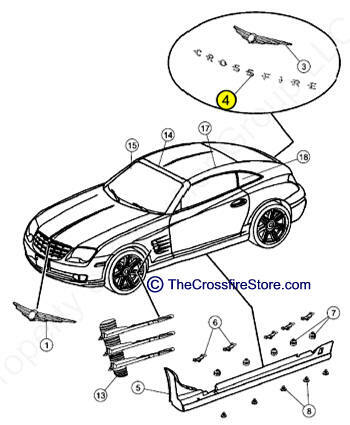 JU-1BJ09401AA Chrysler Crossfire (2004-2008) Large Front Wings Emblem - NEW. Brand NEW - Factory original part. Peel and stick application along with pegs and nuts. New factory original part is peel and stick on your existing hood wing emblem. Simply peel and stick for a permanent bond. 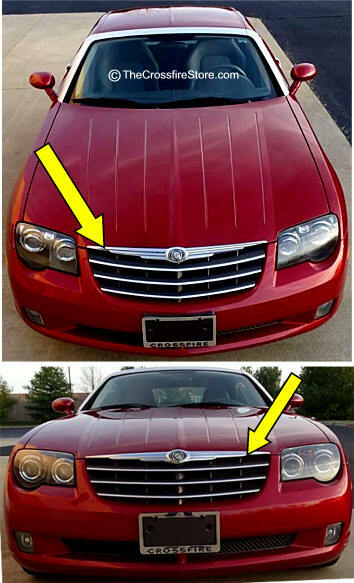 Remove your old faded scratched center Chrysler emblem from your wing and replace it with a new perfect one. 2 3/4" X 1 15/16" in height. Stock factory part. 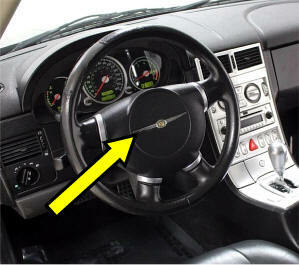 Fits on the front center of the Crossfire steering wheel.